Home Field Advantage We're proud to partner with some of the best venues across America to cover games live and on-demand, and share your favorite highlights! Our HiCast Sports Network automates the capture and delivery of games live and on-demand from our growing team of venue partners. 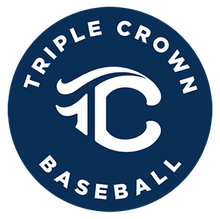 Join us for a look inside East Cobb Baseball Complex where we're covering games for their nationally-ranked East Cobb Baseball teams and tournaments organized by Triple Crown Sports, Perfect Game, CABA and Travel Ball Select hosted at this legendary ballpark in Marietta, Georgia. Meet our partners and a few of our HiCast Sports subscribers at Baseball Heaven in Yaphank, NY where we're covering games for nearly 3,000 teams each year and the annual National Youth Baseball Championship at this iconic ballpark. Hear from our partners at Diamond Nation in Flemington, NJ, home to the nationally-renowned Jack Cust Baseball Academy and Jennie Finch Softball Academy and see how they're increasing exposure for athletes with recruiters and boosting their social media engagement with players and fans. Tyger River Park sits on 140+ acres in Spartanburg, SC and attracts nearly 2,000 teams each year. This beautiful 12-field venue hosts local youth softball and baseball players, and tourneys for USA Softball of South Carolina and other leagues. Summer 2018 they'll host the USA Fast Pitch Girls' Class A 12U National Championship. "HiCast has exceeded our expectations in our search for a high quality video to offer to our customers. The speed of the video stream, and the clarity of the picture are the best we have seen. Our customers are giving rave reviews of our newest addition here to our facility." Venue? We’ve got you covered! Now's the time to join the HiCast Sports Network. Fill out this form to see if your ballpark, sports complex, or school qualifies and we'll get the ball rolling. Here's a one-pager to socialize with your team. Hear how Central Georgia Umpires uses HiCast Sports Network at East Cobb Baseball Complex to improve their game. If you're hosting a tournament at one of our venue partner locations, you're invited to join our Promoter Program! Joining the program is easy and there's no cost to participate. We'll cover your tourney and provide you with a co-branded sign up web page and promo graphics to help spread the word about our coverage to your players, coaches and families. Learn more! Covering Youth Sports? Let’s Team Up! We’re proud to partner with media companies like Youth1 Media covering youth sports news, stats, player profiles and events; as well as video production companies covering live youth sporting events. Our HiCast Sports Network can help you broaden your reach and engage with players and fans beyond the stands. Give us a shout and let’s team up to lift youth sports. Spread The Word! For Our Venue Partners & Promoters: We've got the resources you need to promote your presence in the HiCast Sports Network — from logo files to promo graphics and more.